Samut Sakhon (Thai: สมุทรสาคร, [sā.mùt sǎː.kʰɔ̄ːn]) is one of the central provinces (changwat) of Thailand, established by the Act Establishing Changwat Samut Prakan, Changwat Nonthaburi, Changwat Samut Sakhon, and Changwat Nakhon Nayok, Buddhist Era 2489 (1946), which came into force on March 9, 1946. Neighboring provinces are (from the southwest clockwise) Samut Songkhram, Ratchaburi, Nakhon Pathom, and Bangkok. 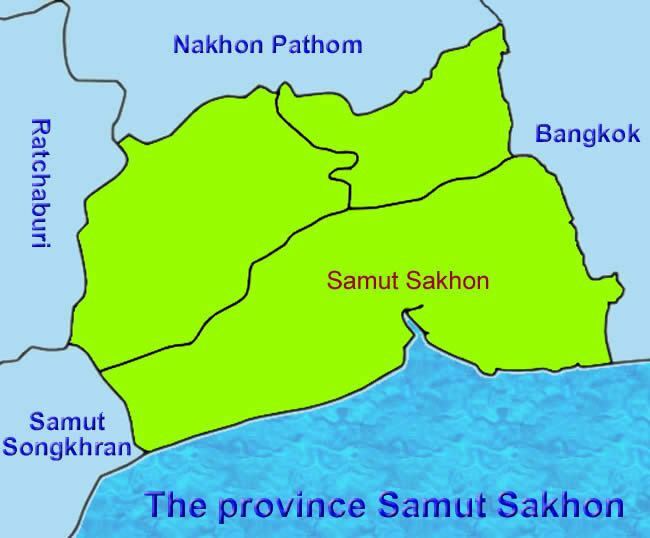 The word "samut" originates from the Sanskrit word "samudra" meaning "ocean", and the word "sakhon" from Sanskrit "sagara" meaning "lake". Samut Sakhon is at the mouth of the Tha Chin Klong River, a distributary of the Chao Phraya River, to the Gulf of Thailand. At the coast are many fields used for sea salt production. The oldest name of the area is Tha Chin, probably referring to the fact that it was a trading port where Chinese junks arrived. 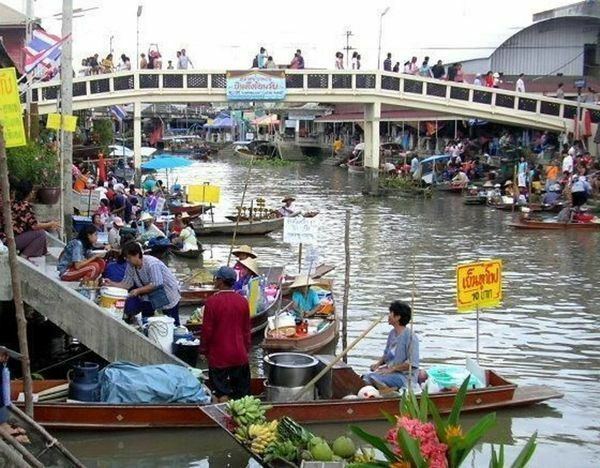 In 1548 the city Sakhon Buri was established, and was renamed in 1704 to Mahachai after the khlong Mahachai which was dug then and connected with the Tha Chin River near the town. 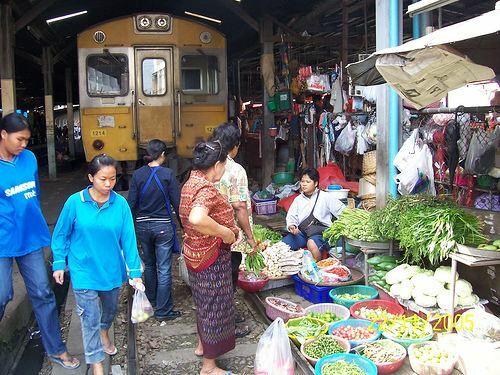 It was renamed by King Mongkut to its current name, however the old name Mahachai is still sometimes used by the locals. The provincial seal shows a Chinese junk in front of the coast, with a smoking chimney. Both refer to the old trading tradition as well as the local industries. Samut Sakhon is a leading province for sea salt production. According to a survey in 2011, 12,572 rai of salt farms were being managed by 242 families in Samut Sakhon. Altogether there are seven municipal (thesaban) areas within the province - Samut Sakhon is the only city (thesaban nakhon), Krathum Baen and Om Noi are the two towns (thesaban mueang), and there are further four townships (thesaban tambon). The non-municipal areas are administrated by 30 tambon administrative organizations (TAO).